Fatal motorcycle crash closes Maple Avenue in Milton » Milton's Community Portal! 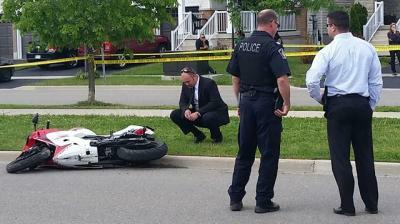 A man has been killed following a motorcycle crash on Maple Avenue in Milton. It appears the motorcyclist was northbound on Maple Avenue near Book Drive when he lost control. It was the only vehicle involved in the crash that occurred just after 3 p.m.
Police say they expect Maple Avenue to remain closed for several hours while they investigate.